RESIDENTIAL: We currently have several ongoing developments at various stages of completion and have luxury homes for sale at competitive prices. we also have several exciting projects in the pipeline offering both luxury homes as well as affordable housing and flatted dwellings. COMMERCIAL: Antonine Group have interests in Industrial and Retail Sectors and have land for sale with planning permission in key areas within Scotland and are always interested in purchasing land for future development. 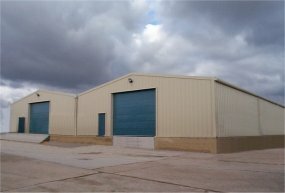 STEEL FRAMED BUILDINGS: We have a stock of second hand industrial specification buildings for sale either as steel sale only or we offer a full design and build package for all our buildings. 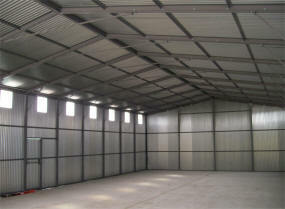 Antonine also offer new Agricultural Specification buildings again, either as steel sale only, or full design and build. Quality and honesty are the fundamental ingredients which we feel make us different from our competitors and we are proud of our approachability and friendly attitude, not only to our customers but to our staff and operatives alike. Please feel free to browse our site and either e-mail us with any enquiries or if you prefer the human touch telephone Allan Bell on mobile 07734 998619.